SymphonyIEF Isoelectric Focusing is a versatile unit that covers most IEF requirements from small scale to high-throughput operation. The focusing tray can accommodate up to 12 IPG strips. It is convenient with adjustable ‘pick-and-place’ electrodes clip anywhere within the focusing tray to resolve IPG strips from 7-24 cm in length, colour-coded to prevent polarity reversal. 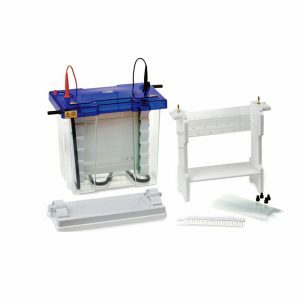 It is also compatible with horizontal precast IEF and PAGE gels, with electrode frame that clips directly onto the cooling plate. 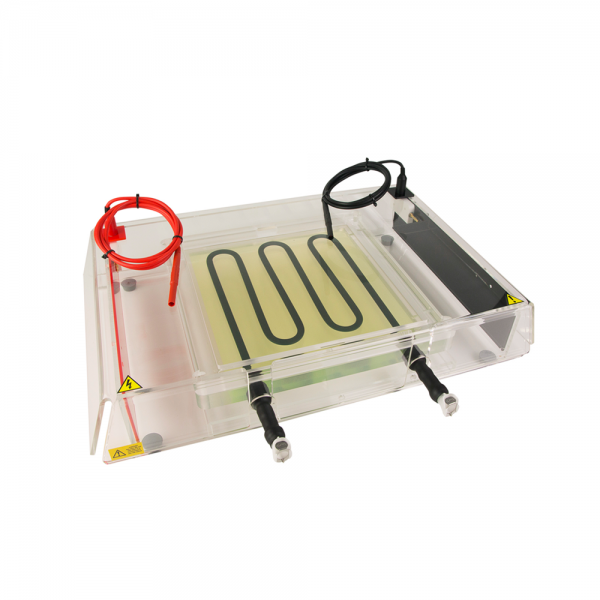 The cooling plate built from a special grade ceramic boasts a large 26 x 26 cm surface area which enables better heat dissipation and homogenous thermal control, making it efficient for high voltage IEF applications. An optional recirculating chiller is also available which connects easily to the cooling plate via snap-lock connectors to preserve optimal operating temperatures for IPG strips (20°C) and precast gels (4°C). The unit now comes with rehydrating tray for convenient transfer of IPG strips to the focusing tray without time-consuming removal of residual rehydration buffer. This also allows focusing tray to remain permanently in use for IEF to maximise throughput. In addition, it also provides useful storage at -20°C for focused strips before second-dimension runs. Recommended power supply is HarmonyCS2320, 3000V 150mA, 150W. HarmonyCS3000 has 9 different program settings with 9 different parameters and voltage ramping for multi-step IEF techniques. The power supply allows setting Volt-Hours for focusing to be achieved faster at maximum voltage. You can save up to 3600 output values for data logging, collect run data via R3232 connection and it comes with free downloadable data acquisition software. *IPG strips are not supplied by Hercuvan. All measurement and typical running condition are based on Serva IPG BlueStrip.